Sally has written 7 articles for AdTalk. Pauline has written 3 articles for AdTalk. Dan has written 1 article for AdTalk. Ken Blass has written 1 article for AdTalk. jimcavanaugh has written 1 article for AdTalk. rockycipriano has written 2 articles for AdTalk. coletteconnolly has written 2 articles for AdTalk. twylacummings has written 1 article for AdTalk. Bob has written 2 articles for AdTalk. Rose Benz Ericson has written 1 article for AdTalk. janicehanson has written 1 article for AdTalk. Katherine has written 2 articles for AdTalk. joanhebert has written 5 articles for AdTalk. Holly Howell has written 1 article for AdTalk. chuck-ingersoll has written 1 article for AdTalk. Claire Kaler has written 1 article for AdTalk. Walter has written 3 articles for AdTalk. Darcy has written 1 article for AdTalk. 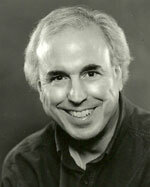 Michael Lomb, MG Lomb Advertising, Inc.
michaellomb has written 1 article for AdTalk. Megan has written 1 article for AdTalk. 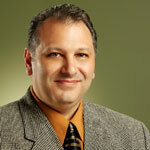 Joe Marciano has written 1 article for AdTalk. Diane has written 8 articles for AdTalk. richardmargolis has written 1 article for AdTalk. Howard has written 6 articles for AdTalk. Tommaso Occhiuto has written 2 articles for AdTalk. Don Papaj has written 1 article for AdTalk. Peter has written 2 articles for AdTalk. Jay has written 1 article for AdTalk. April Rink has written 1 article for AdTalk. rowekevin has written 15 articles for AdTalk. Damir has written 1 article for AdTalk. Alan has written 6 articles for AdTalk. 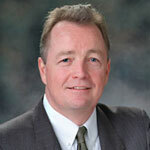 davidschuette has written 1 article for AdTalk. leesimonson has written 1 article for AdTalk. Ken Stahl has written 1 article for AdTalk. Brad has written 30 articles for AdTalk. donna-vassallo has written 5 articles for AdTalk. Mark has written 3 articles for AdTalk. Cory has written 1 article for AdTalk. Bill has written 2 articles for AdTalk. janine-yagielski has written 1 article for AdTalk. Sandra has written 1 article for AdTalk.